Please include the name or text exactly how you would like it written on the front cover. Please Note: We do not recommend all capitals for script fonts. ***If you do NOT want personalization please write 'none' and we will include the year(s) only. 1. Choose the layout (horizontal and vertical) and monthly tabs option that you would like from the drop down menu. You can view the different layouts by cycling through the photos. 2. Choose your start month from the drop down menu. 3. 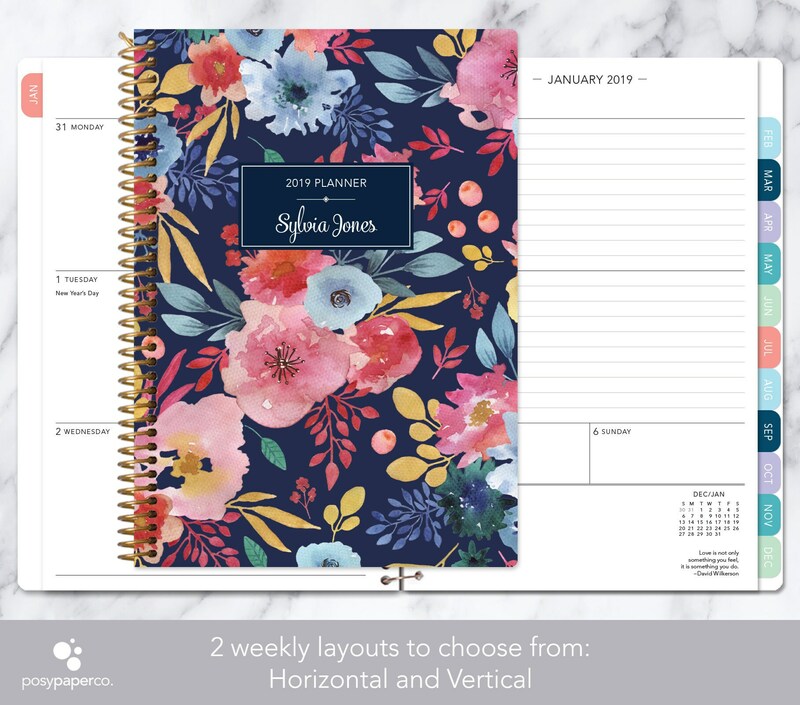 Include your personalization for the cover in the field provided. 4. Click 'Add to Cart' button and proceed to checkout. 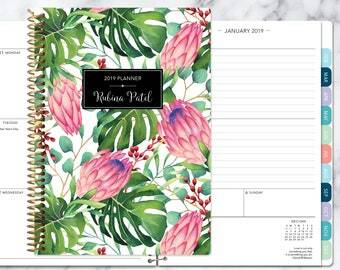 PLEASE NOTE: We will print the current year(s) selected on the front cover. 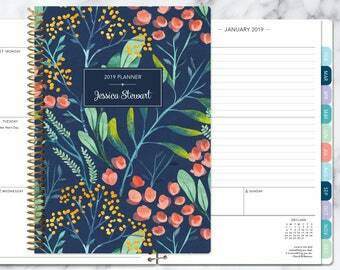 If you purchase a planner that runs from June 2018-May 2019 we will put 2018/2019 on the cover. All monitors and screens are calibrated differently so colors may appear slightly different on screen then printed. All of our products are made to order, therefore we do not allow any cancellations after the first 24 hours from placing your order. Please make sure to check our processing and shipping times before ordering if that is an issue. You can view that by clicking on the 'shipping & policies' tab below the images. Purchased as a Christmas gift for my sister. She raved about the quality and uses it everyday! 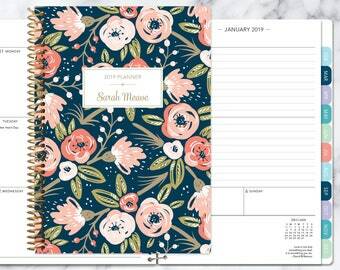 Really loving this planner, have gotten lots of compliments on it! We accept credit cards, Paypal and gift cards. If you pay via e-check through Paypal your item will not be shipped until your payment has cleared. All of our products are made to order, therefore we cannot accept any cancellations after 24 hours of placing your order. 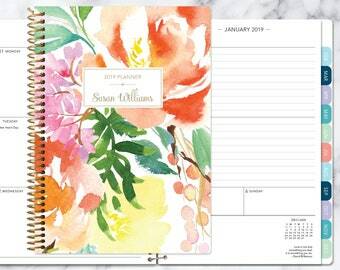 We do NOT accept exchanges or returns as all of our planners are personalized and made to order. In the event that your merchandise is damaged upon arrival or we have made a mistake on your order, please notify us within 48 hours and we will replace the item. ➤➤ We do not offer any refunds on orders that are returned to us due to the customer including an incorrect shipping address on the order. We can resend the order for an additional shipping charge to the customer. ➤➤ If you do not pickup your order or refuse delivery and it is returned to us we will not offer a refund. 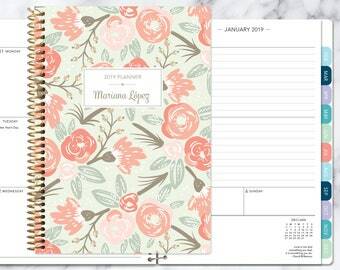 All of our planners are 'made to order'. Please check each item for processing times as they vary from product to product. We do not offer RUSH orders. 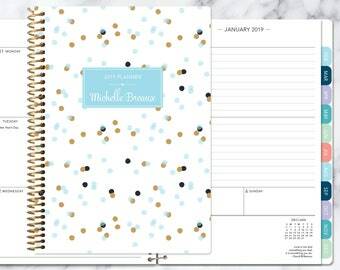 ***pagemarkers and stickers purchased without a planner will be sent with regular mail. There is no tracking included with regular mail and it takes approximately 5-10 BUSINESS days from the ship date. 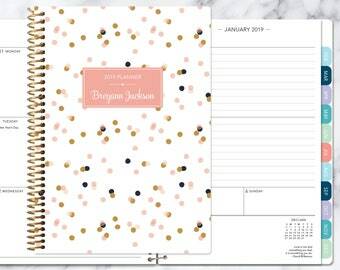 ➤➤ All customers are responsible for any customs, duties, and taxes upon delivery. We are not able to determine what these fees will be as they vary from country to country. If you do not pickup your order or refuse delivery we will not offer refunds. Items will be sent to the confirmed address listed on the Etsy invoice. NOT THE ADDRESS LISTED ON YOUR PAYPAL RECEIPT. 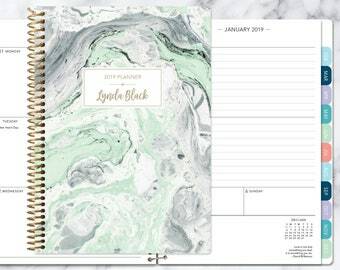 Can you change the inside pages of the planner? No, I'm sorry we are not able to make any changes to the inside pages. 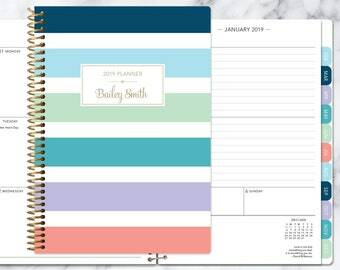 Can you add extra months to the planner (ex. make it 18 months instead of 12)? 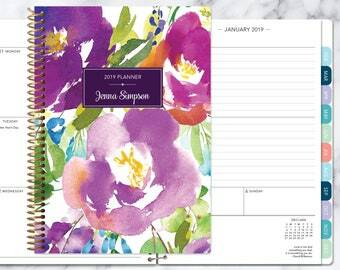 We are not able to add extra months to the planners at this time. 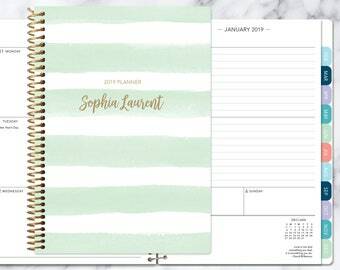 How do I put my name on the cover of the planner? 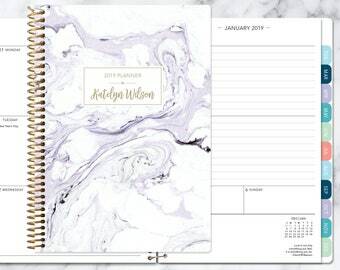 Please include the name that you want on the cover in the notes section when you checkout your order. 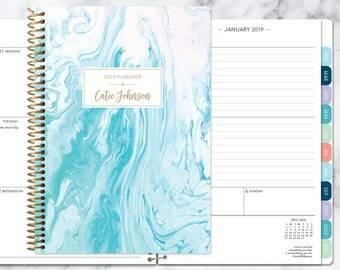 If you do not want your name on the cover we will just include the year. You must include in the notes that you do not want personalization though. 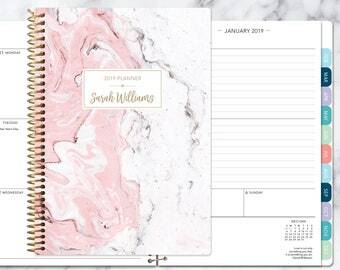 We cannot complete your planner without cover info so there might be delays on your order if you do not include that information.